The most famous world buildings, exotic, mysterious and enchanting places were, until just a few years ago, travel destinations accessible only to a privileged few who were able to travel. The Internet has changed that and brought the whole world to our doorstep, much more so than TV ever had. TV allows an educational and entertaining audio-visual presentation, but the Internet lets you interact and experience a place virtually. If you haven't been able to travel and see some of the world's favorite destinations, here you can experience them in 3D. Just make sure your computer is configured properly. In some cases you may need to download additional plugins to be able to view the 3D presentations. You will find more info on configuration requirements on each page. Sistine Chapel is the most famous chapel in the Apostolic Palace, the official residence of the Pope in Vatican City, and the location of Papal conclaves. 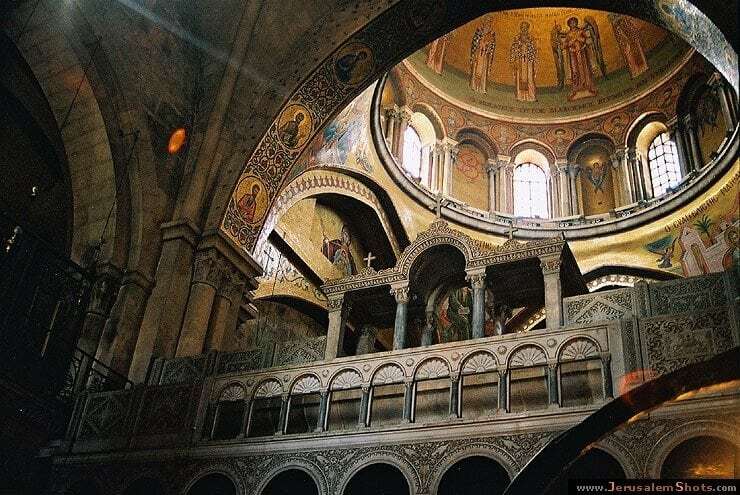 It is famous for its architecture, evocative of Solomon's Temple of the Old Testament, and decoration that has been frescoed throughout by the greatest Renaissance artists including Michelangelo, Raphael, Bernini, and Sandro Botticelli. 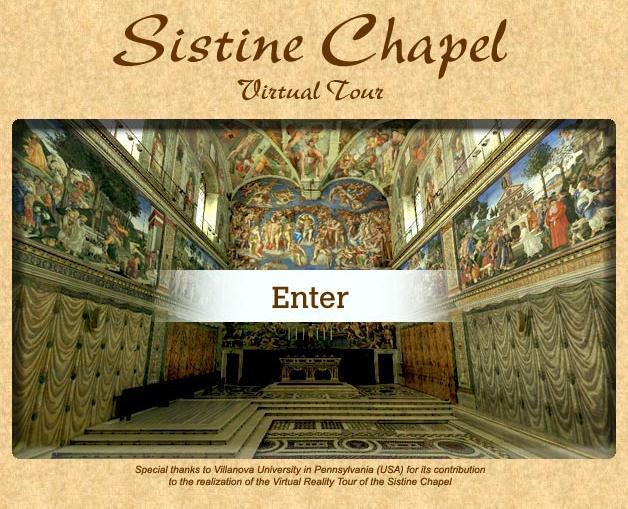 This website provides a unique opportunity to experience, explore and admire the chapel from up close. Al-Masjid al-Nabawi, often called the Prophet's Mosque, is a huge mosque situated in the city of al-Madinah, Saudi Arabia. As the final resting place of the Islamic Prophet Muhammad, it is considered the second holiest site in The Prophet's Mosque is the second holiest mosque in the world after al-Haram in Mecca. Built by Prophet Muhammad in 622 AD, next to the house where he settled after his journey to al-Madinah, the original mosque was an open-air building with a raised platform for the reading of the Qur'an. It was a rectangular enclosure of 30 m × 35 m (98 ft × 110 ft), built with palm trunks and mud walls, and accessed through three doors: Bab Rahmah to the south, Bab Jibril to the west and Bab al-Nisa' to the east. The basic plan of the building has since been adopted in the building of other mosques throughout the world. 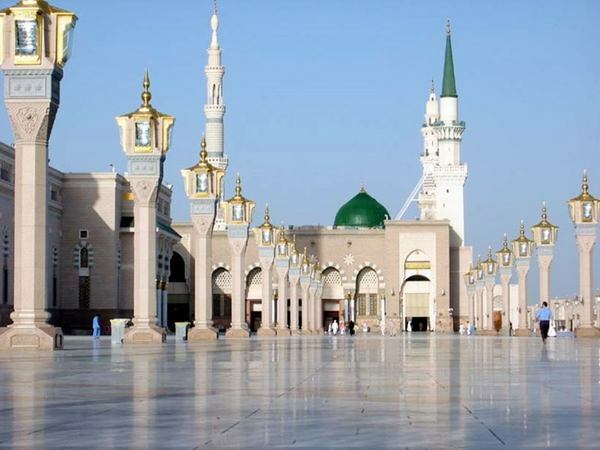 On this website you can tour the Prophet's Mosque and feel as if you are actually there. 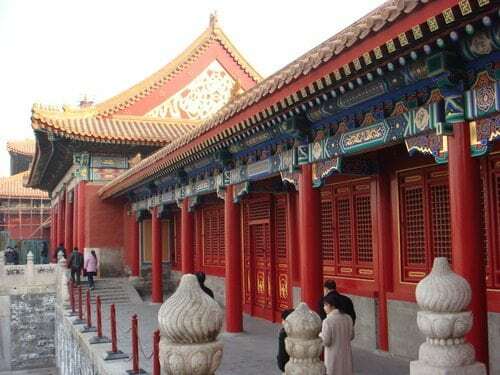 This website provides you with access to an immersive 3-dimensional virtual world where you can walk through the walls of The Forbidden City and explore those aspects of Chinese culture and history that have been kept away from the world. You can use the website to learn more about the project, and download the virtual tour of the Forbidden City. If you register to join the Beyond Space and Time community you will be able to participate in forum discussions and gain access to enhanced features in the Virtual Forbidden City. 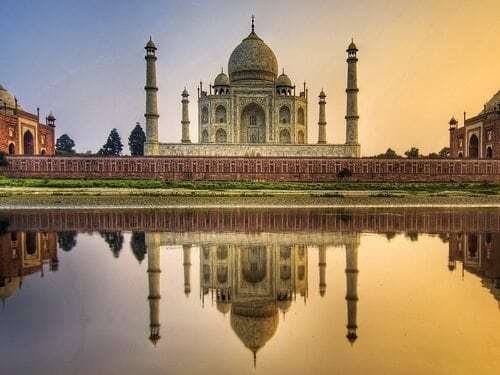 Taj Mahal, the “crown of buildings”, is located in Agra, India. It is one of the most impressive structures in the world, and the finest example of Mughal architecture, a style that combines elements from Persian, Islamic and Indian architectural styles.Built as a mausoleum by Mughal emperor Shah Jahan in memory of his third wife, Mumtaz Mahal, it is widely considered as one of the most beautiful buildings in the world that stands out as the symbol of eternal love. Here you can discover the virtual world of Taj Mahal. 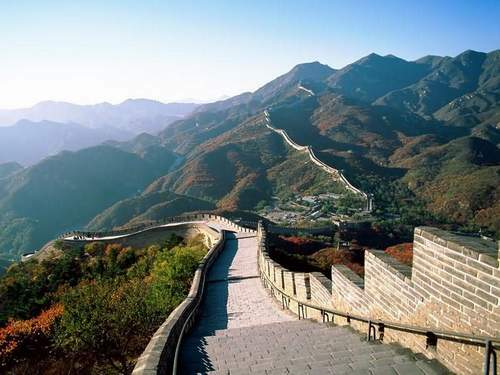 Built over more than two thousand years ago, with stone, wood, grass and earth, the Great Wall was the key to protecting agriculture and resisting cavalry of the Huns and other warrior tribes from the north. Take a virtual tour of the Royal court and discover recent renovation of the castle. 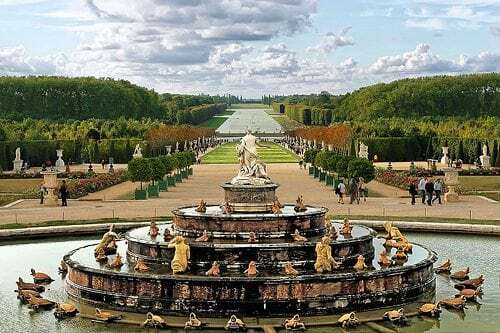 See the equestrian statue of King Louis XIV or the historical gate, and get more information on architecture and history. 3Disrael.com is the home to Flash virtual tours gallery of Israel showcasing many attractions and events in a unique and original spherical virtual interactive experience. You can see Israel in all its glory, capture the beautiful locations and attractions. This is one of the most isolated islands in the world. About 1200 years ago a double-hulled canoe filled with sea travelers from a distant culture landed on its shores. Over the centuries that followed a remarkable society emerged in isolation on the island. For reasons still unknown they began carving giant statues out of volcanic rock. 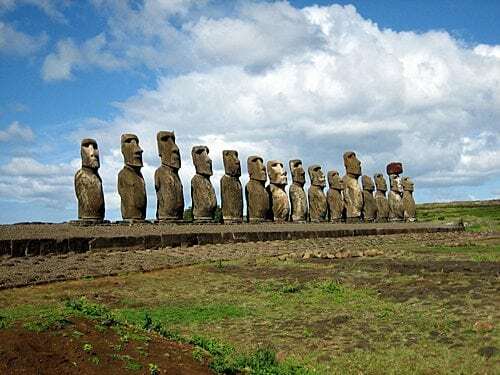 These huge relics, known as “moai” are some of the most impressive ancient monuments ever discovered. The people of Easter Island called themselves the Rapa Nui. Science has learned much about the enigma of Easter Island and has put to rest some of the more bizarre theories, but questions and controversies remain. Explore this site to get the latest information on the island's history and current research. 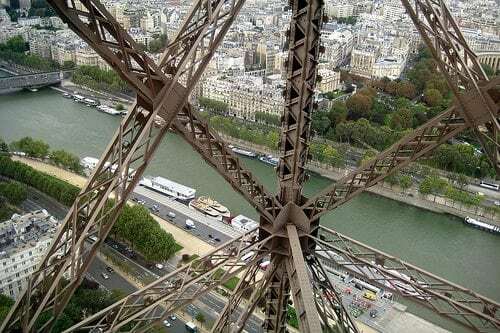 Here you can view the Eiffel Tower from any angle, navigating between the floors and in and out of the structure in 3D. Also available are great views of Paris from the Eiffel Tower. Arounder is a great online magazine that offers a vivid experience of what a city has to offer: historical cathedrals and works of art, museums featuring famous artists, local cafes and stores, breathtaking mountain-top views, quiet parks and gardens. Each issue contains a series of interesting panoramas giving you a full immersive view of the cities. Navigation is easy with Google maps of the city and surrounding area. Every issue also links to local merchants with virtual tours of hotels, restaurants, spas and stores. Good pictures with great information. Great bucket list of places to visit! I am saving to get ready to go!